We give clients an alternative to using a bank. Those in the exporting business tend to convert their foreign currency revenues as needed to pay Canadian Dollar expenses at Spot. They may also hedge future revenue streams using open or fixed-dated forward contracts, both of which are available at VBCE. VBCE offers a cost-effective way to settle foreign currency denominated invoices. Whether a client needs a monthly run of USD cheques payable to various suppliers, or a lump sum purchase to increase the balance of a USD operating account, a better rate can’t be found anywhere else. Do you import vehicles from Japan or export to the U.S.? VBCE can arrange timely payment at a competitive rate. VBCE is the premier low-cost banking alternative for students. Do your students need assistance in arranging money transfers for tuition and living expenses? VBCE can assist Schools and Agencies on a corporate level, or deal directly with individual students. Whether you’re a lumber exporter or broker, VBCE can provide excellent exchange rates for both spot and forward transaction needs. In an industry with extremely tight margins, the ability to hedge at a competitive exchange rate can determine the profitability of a lumber contract. VBCE deals on a daily basis with companies of all sizes that sell products and services in the United States, Asia, Europe and beyond. No matter where your organization extends, VBCE can help. 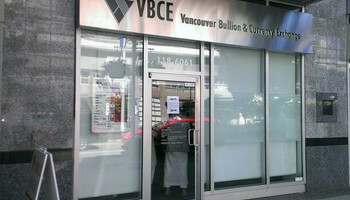 VBCE is able to offer numerous forms of assistance to financial institutions. 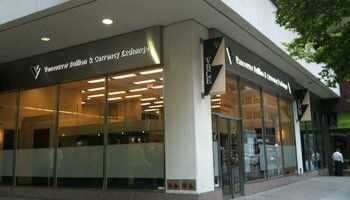 VBCE supplies bank notes to financial institutions at the branch level, as well as to the private wealth management level. Orders are generally filled and delivered on the same day, and on a larger scale, banking representatives may assist their clients in booking an exchange directly with a VBCE trader. VBCE offers both cash-based and non-cash based services to businesses in the travel industry. VBCE can email daily exchange rates to clients in the hospitality industry so they can set their own exchange rates for their patrons. 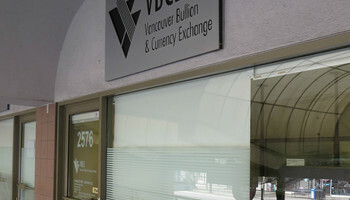 Hospitality and tourism clients can contact a VBCE trader to place their foreign exchange requests. The trader will confirm the exchange rate(s) and make arrangements for transaction settlement. Whether clients are new immigrants from Asia or U.S. residents purchasing an investment property, our exchange rates allow for significant savings. If your venture needs foreign currency such as USD, CAD, EUR, AUD, ZAR, MXN, NZD or any other currencies, we have a solution for you. VBCE can assist the accounts payable department by maintaining a portfolio of wire payment instructions for the various vendors that require foreign currency payments.